Schools around the world continue to face both internal and external threats to the safety of students and staff. Unfortunately, the daily news seems to be filled with school security incidents, from intruders to violence. With these threats in mind, school security has never been more important. For that reason, using a simple sign-in sheet is no longer sufficient for protecting school students and staff. Today's schools need comprehensive Visitor Management. In a school setting, Visitor Management refers to processing and monitoring visiting parents, volunteers, contractors, substitute teachers and other guests to ensure security at the school. The end goal of a school Visitor Management system is clear: to keep students and staff safe at all times. So how will a Visitor Management system at your school achieve that goal? We've compiled a list of four ways a Visitor Management system helps make your school a safer place. There's no shortage of things to like about WhosOnLocation™, the innovative, cloud-based product in our offering of Visitor Management solutions. It requires no downloads or installation. Those reasons alone are compelling enough to pique the curiosity of anyone interested in a Visitor Management system, but there's another reason to add to the list: WhosOnLocation is constantly being updated with new features. The team at WhosOnLocation isn't content to rest on its laurels; instead, new features crop up on what seems like a weekly basis. The team continues to add a variety of different capabilities to the system, from tweaking existing features to introducing entirely new modules, meaning WhosOnLocation is only getting more robust by the day. Visiting contractors play a pivotal role in operations running smoothly at organizations of all kinds. Whether it's a warehouse that has contracted HVAC employees visit regularly to check on their freezers or an office building that has a contracted food service company bringing in deliveries daily, contractors are essential to many a successful business. From an administrative standpoint, however, contractors can be tricky. They're not technically employees, so they don't fall under the same umbrella as your daily personnel. However, they're also not technically guests, as they're at your site to do a job. 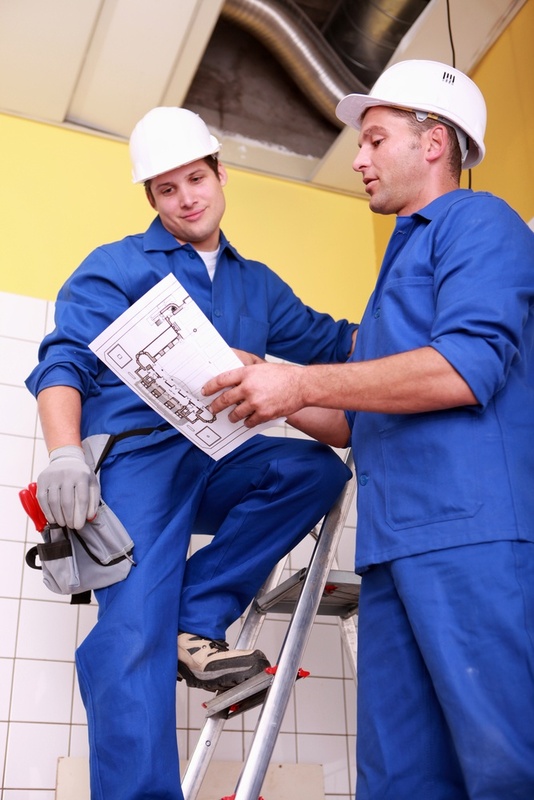 Contractors will be risking injury on occasion and will be logging hours that cost your organization money. For those reasons (and many more), giving each contractor a visitor badge and calling it a day simply isn't good enough. 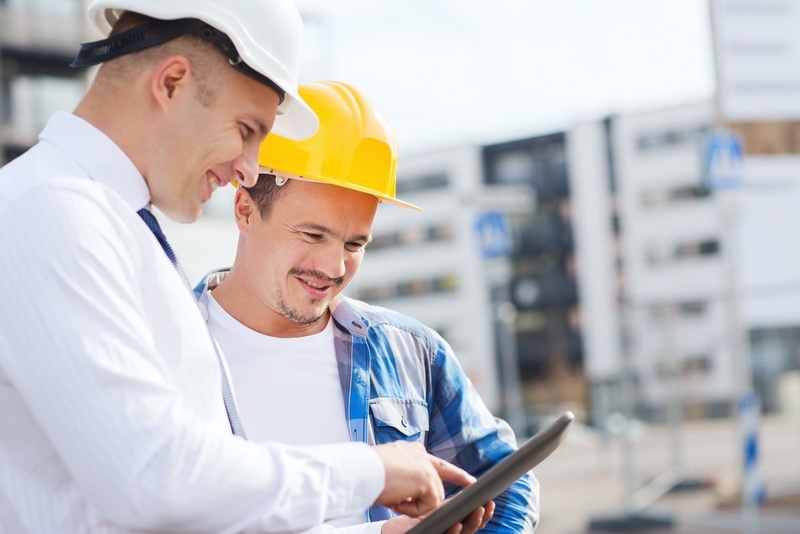 If your organization welcomes contractors to your site on a regular (or even semi-regular) basis, you need a Contractor Management system. 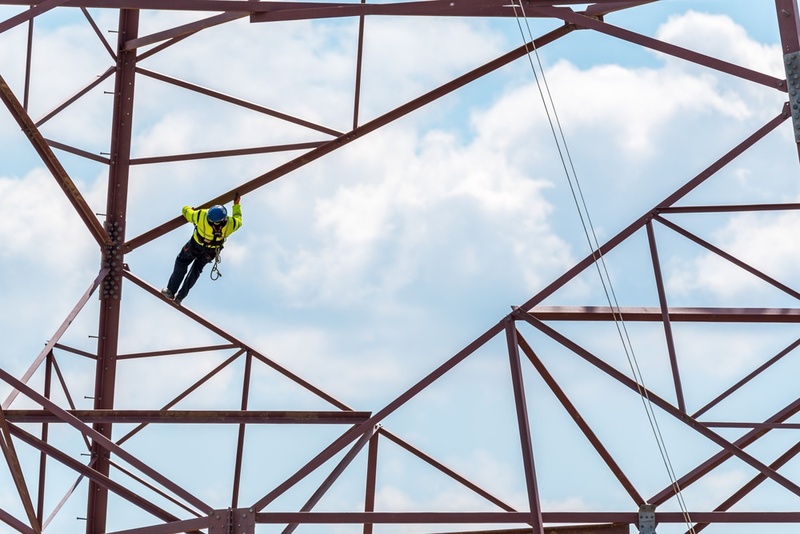 From clearing up billing discrepancies to making sure your organization is protected in the event of an incident, a good Contractor Management system is crucial to ensuring that your organization is able to welcome contractors effectively and safely. One of the best parts of WhosOnLocation is that it's a web-based program. There are no downloads, no CD-ROMs (remember those?! ), no hassle...just open a browser and go! A benefit of this web-based existence is that the WhosOnLocation team is able to quickly and efficiently push updates out to the program, everything from patches and bug fixes to new features. It's new features that we have for you today, with WhosOnLocation releasing the Lone Worker Trigger and Photo Capture to their already-robust feature offering. These two tools cover different ends of the people presence management spectrum (one is for employees and contractors, while the other is more useful for guests), but they come together to give you even more control and more security at your site. By nature, worksites are busy places. From small offices to bustling construction sites, warehouses to office towers, there's always a flurry of activity. As an employee, you get to know your worksite pretty intimately: you know that there's a fire drill on the first Friday of every month, or that you need to avoid the big conference room because the ceiling is leaking. When you spend the majority of your day at the same place, you get pretty familiar with all of the ins and outs, and those in charge are able to effectively communicate any status changes. For example, if the kitchen is going to be closed on Tuesday, a facility email is sufficient to inform all employees. However, visitors to your facility have no way of knowing what's going on at your site prior to arrival, and will likely be unfamiliar with rules, regulations, tips and tricks. Keeping your visitors informed is more than just common courtesy (obviously they should know that Monday is food truck day! ); it also helps keep them safe, alerting them to potential hazards, facility policies and more. So, how can you keep your guests in the know? Sure, you could have your front desk personnel read each guest a few announcements, or could just put a piece of paper at the front door. But that would take time out of your employee's day, and signs often get overlooked. 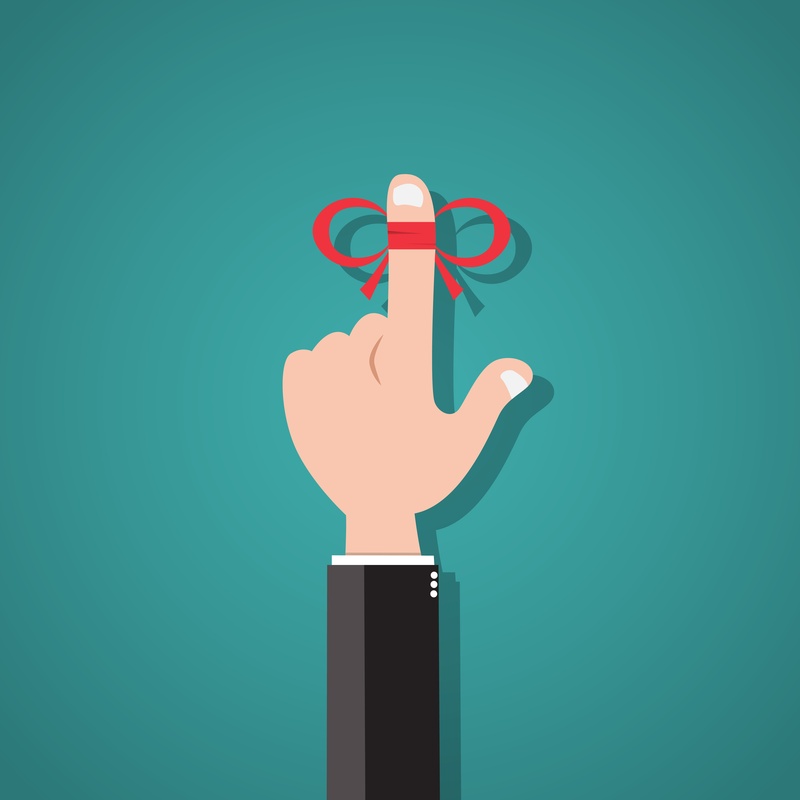 Acknowledgement notices: Digital confirmation of "yes, I understand"
What Do Cal/OSHA's Proposed Standards Mean for Healthcare Visitor Management? Let's be honest: the East Coast of the United States tends to think of itself as a leader and a trendsetter. After all, the East Coast is at work before the West Coast even wakes up. The East Coast has leading cities in areas like finance and fashion (New York City), education and healthcare (Boston) and government (Washington, D.C.). However, there's a state on the West Coast that tends to start plenty of trends that head from west to east. A state that features influential hotbeds like Hollywood, Silicon Valley and the Bay Area: California. Most people know California to be a trendsetter in areas like entertainment and technology. However, California also tends to be a bellwether state when it comes to laws, rules and regulations. There's a common line of thinking in certain industries: if something passes in California, don't be surprised if it eventually starts to filter across the country. This tends to be particularly true with healthcare, where rules and regulations that are put into place in California often get mimicked by other states across the country. California is taking huge steps towards reducing healthcare workplace violence, and the rest of the country should be paying attention. Triggers are one of WhosOnLocation's latest and greatest features. They help further personalize the already-powerful Visitor Management software, giving those managing a building or office more control over their site. At their core, Triggers are very simple. They use a very common "if this, then that" logic to "trigger" certain actions when a given scenario occurs. Everyone learned about cause and effect in school; think of Triggers as "cause and effect meets Visitor Management". However, one of the best things about Triggers is how customizable they are. 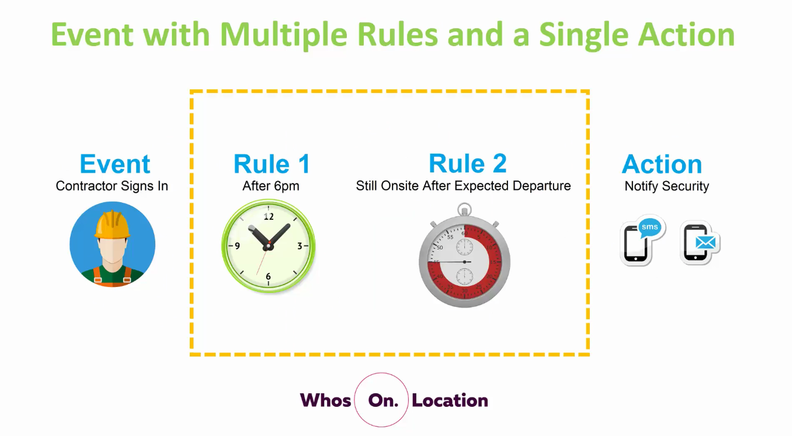 Rules can be set up around dozens of different scenarios, and those scenarios can trigger a number of unique and personalized actions. 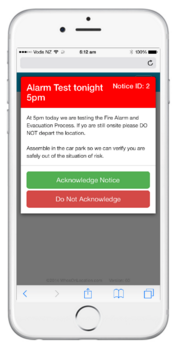 Want to be alerted when a specific person arrives on-site? Set up a Trigger! Need to know when all employee badges have been scanned out for the day? Set up a Trigger! Having trouble with a vendor or ex-employee and want to know if he or she tries to sign in? Set up a Trigger! This post will explore a few different ways you can get creative with Triggers, further enhancing both your WhosOnLocation experience and the level of security at your site.